Join The Fastest Growing Segment in Franchise with a Stable, Flexible, and Fun Lifestyle! © 2019 Scooters Jungle All rights reserved. Disclaimer: This information is not intended as an offer to sell, or the solicitation of an offer to buy, a franchise. It is for information purposes only. Currently, the following states regulate the offer and sale of franchises: California, Hawaii, Illinois, Indiana, Maryland, Michigan, Minnesota, New York, North Dakota, Oregon, Rhode Island, South Dakota, Virginia, Washington, and Wisconsin. 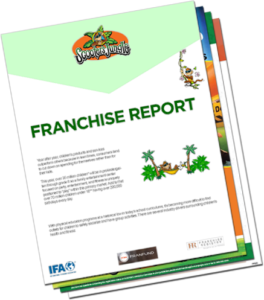 Within the U.S.A., we offer franchises solely by means of our Franchise Disclosure Document. There are also countries outside the U.S.A. that have laws governing the offer and sale of franchises. If you are a resident of one of these states or countries, we will not offer you a franchise unless and until we have complied with applicable pre-sale registration and disclosure requirements in your jurisdiction. If you have any questions concerning the registration status of SCOOTER'S JUNGLE(s) franchises in your jurisdiction, please call us at 949-349-9559.